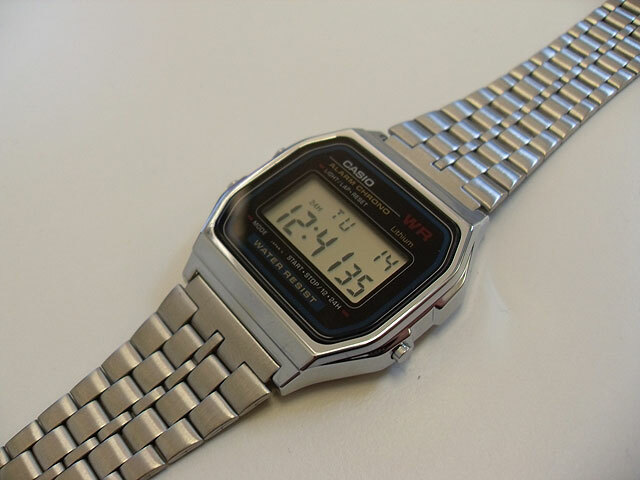 Greetings Retro lovers… here’s a rather natty wee Casio watch, with a mid-late 80’s stylee. 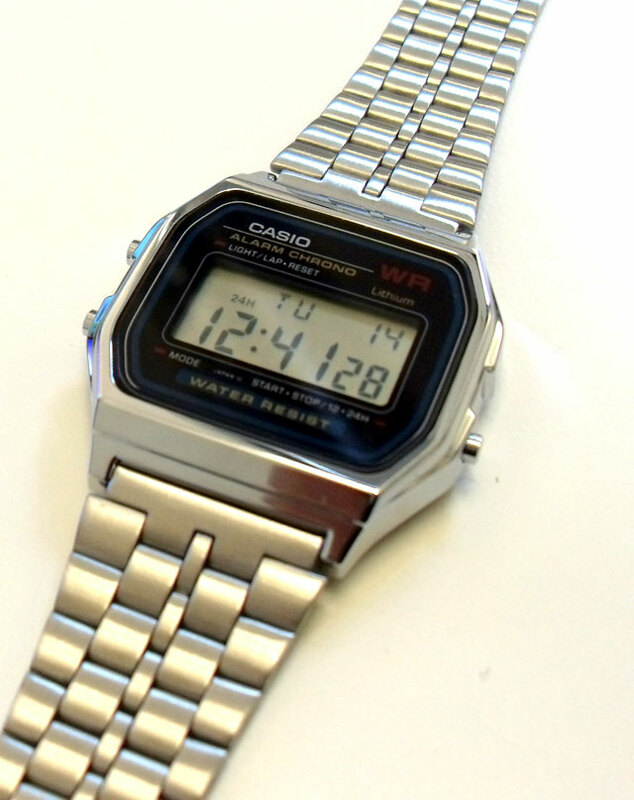 It’s about the same dimensions as the Casio Illuminator watch, and has all the essential features you’d expect from an LCD watch…alarm, light etc. Most importantly of course, it’s retro, it’s funky and it looks great! 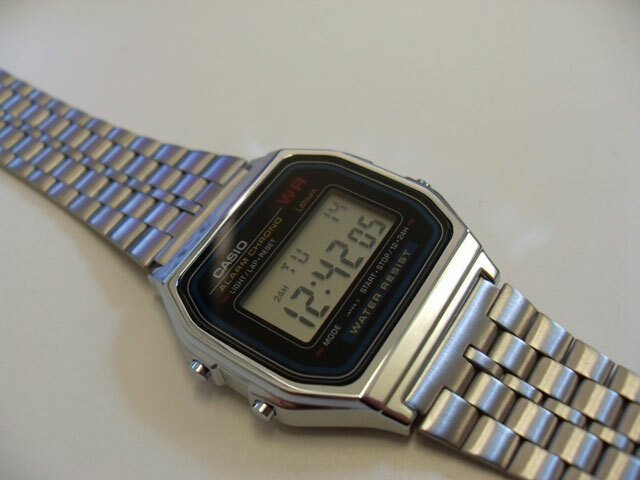 This is a NOS watch (so it’s split new, in an old retro style). 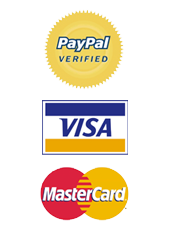 I’ve only got one in stock, so get in quick! Wow fantastic images, the resolution really brings out the detail of these fantastic watches. 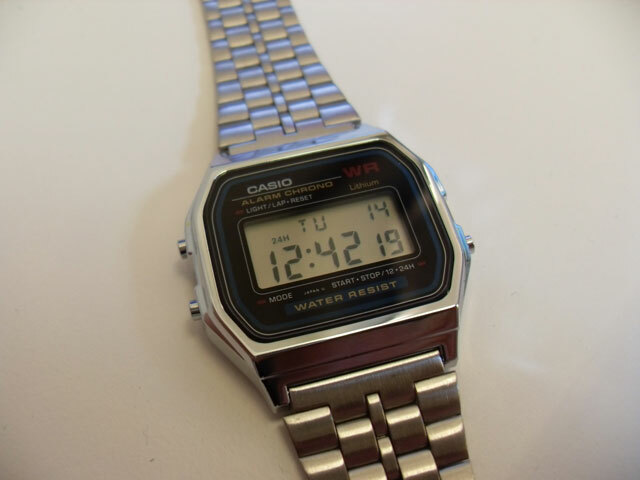 Cant really go wrong with the good old casio. Is this one the A168? 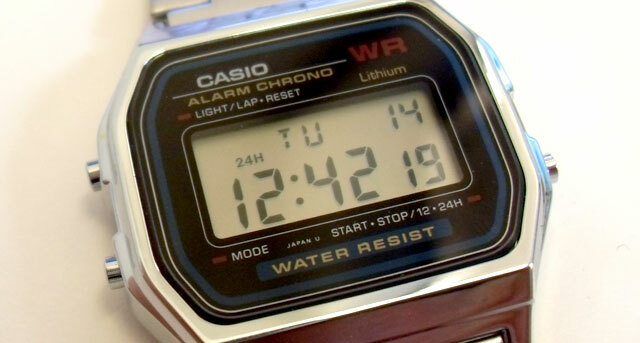 Hi, i m from France and interesting By thaïs watch (casio wr lcd). This watch is it for sale ?